Throughout the year Open Studio has many volunteer and work opportunities made available. We’re always growing and looking for more ways to expand our community. We can also host academic internships facilitated through accredited institutions. Please contact us for more information at office@openstudio.ca. There are no work exchange opportunities at this time, please check back later. Open Studio’s education committee accepts applications on an ongoing basis from artists who wish to teach at Open Studio. Applicants are encouraged to apply for one of our 8-week classes in lithography, etching, or screenprinting. Classes run on Monday and Tuesday evenings from 6:30-9:30 pm and are offered three times a year beginning in early October, February and May. In addition to our 8-week courses we also accept proposals for a variety of printmaking workshops. Workshops run on weekends and consist of 10-14 hours of instruction. Depending on the amount of student preparation, workshops can be held on a Saturday and Sunday of one weekend or can be spread over two weekends. The rate of pay is $30.00 per hour. 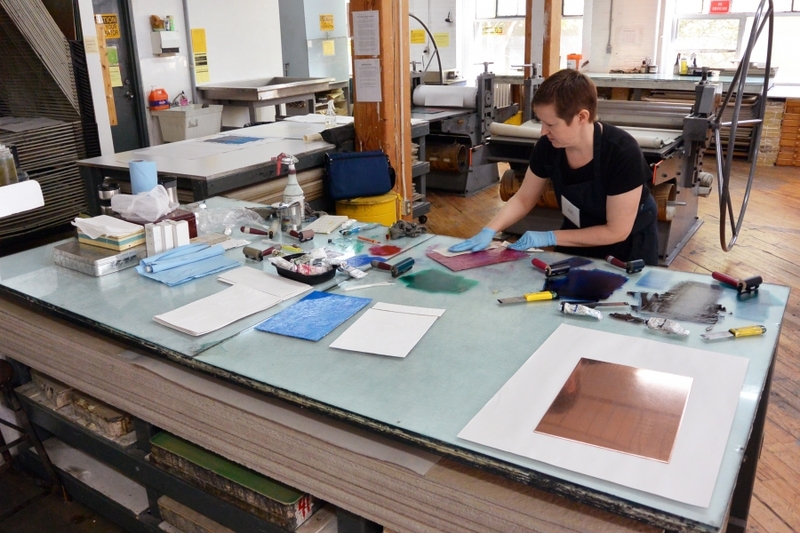 Instructors will prepare a written course outline, design and implement a curriculum in the appropriate medium, provide printmaking instruction to students and act as a technical resource during our eight week and workshop programs. Instructors are responsible for ensuring safe and appropriate use of the studio and equipment, familiarizing students with the safe handling and use of materials and tools, etc. Instructors are also responsible for, and will supervise, cleanup of the studio following classes. Other responsibilities may be assigned as necessary. We’re grateful for all applications, but only candidates selected for an interview will be contacted.